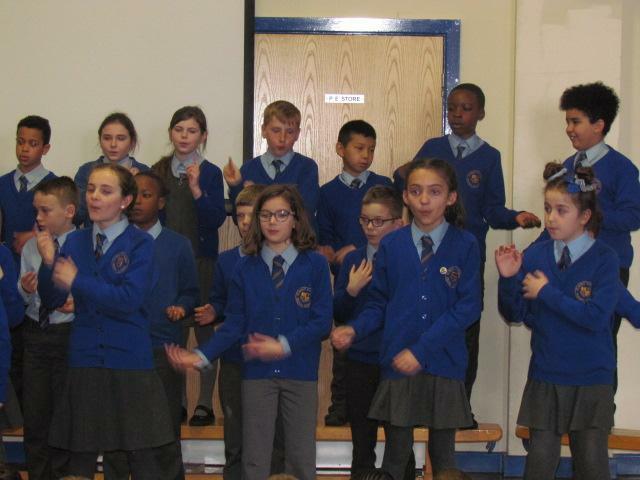 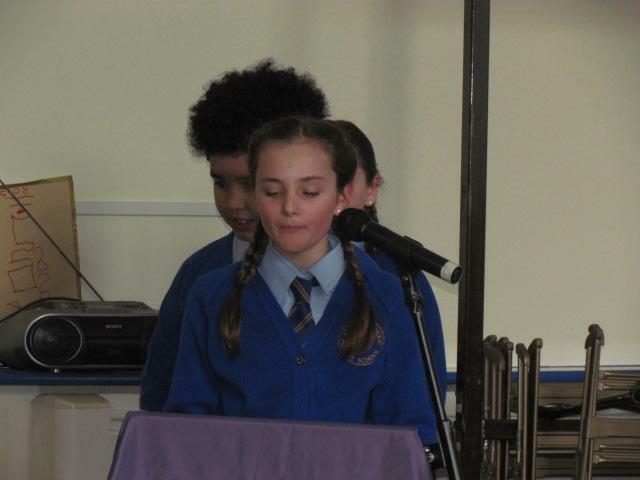 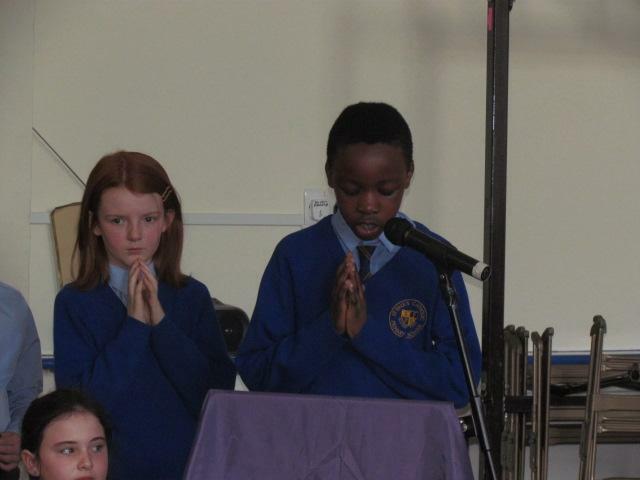 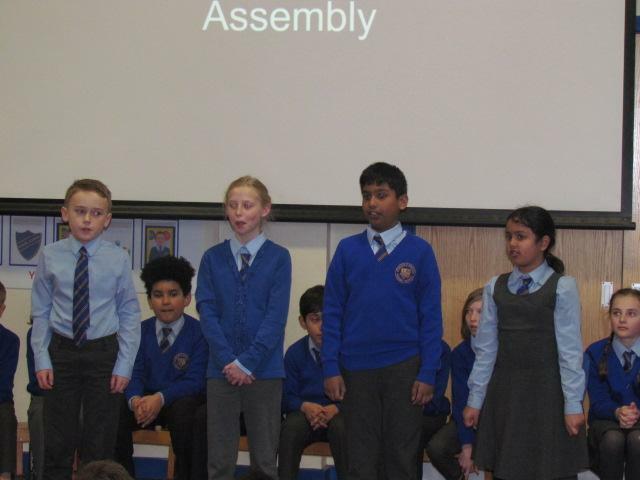 On Thursday morning Year 5 led the school in collective worship, confidently delivering their assembly based on 'Inspirational People'. 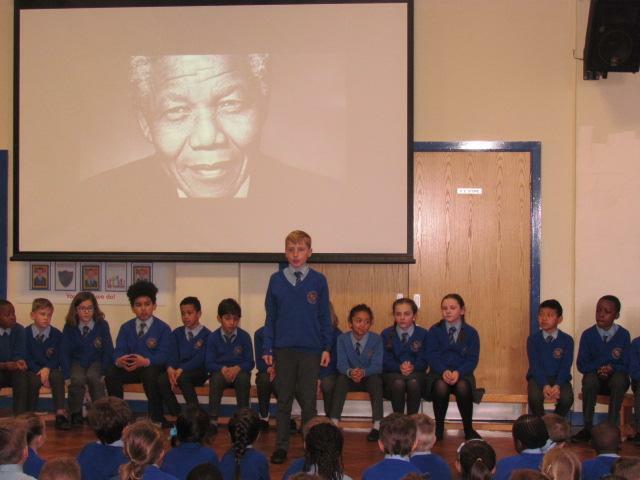 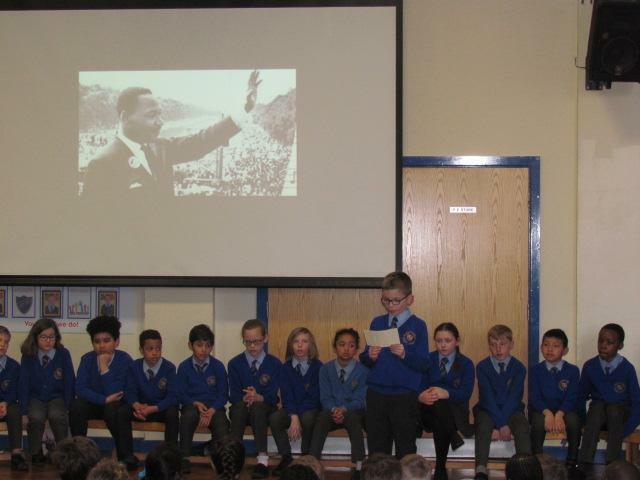 Within their RE curriculum Year 5 have researched famous inspirational people and thus they were keen to share their own chosen remarkable person, we learnt interesting facts and life histories of many characters from Nelson Mandela to Tina Turner, to name but a few! 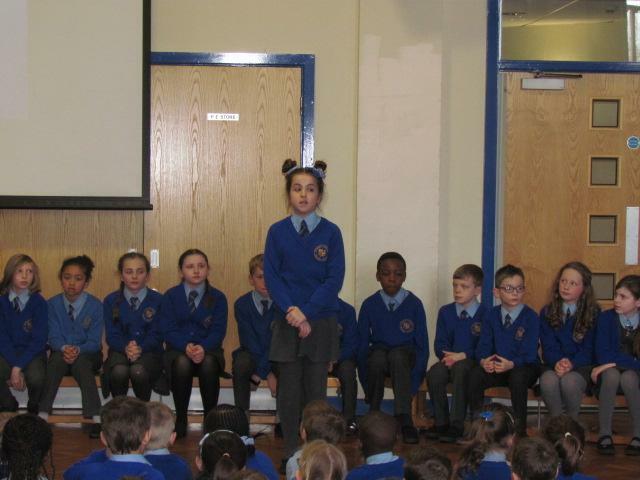 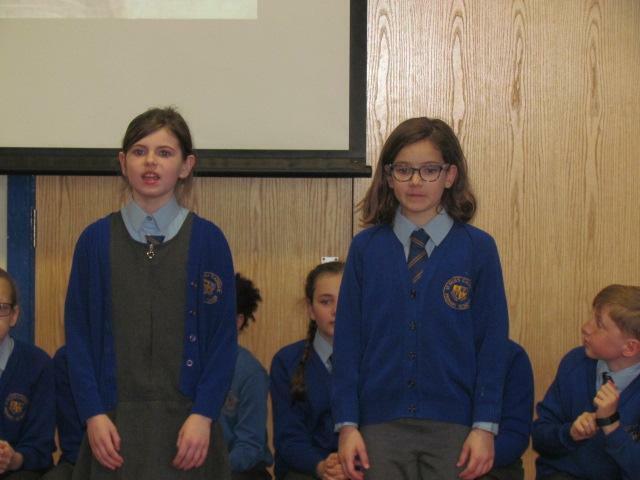 The assembly was an excellent opportunity for Year 5 to showcase their new-found 'public speaking' skills and they were delighted to share their recent debating experience at Leeds Civic Hall with the school audience and proud parents! 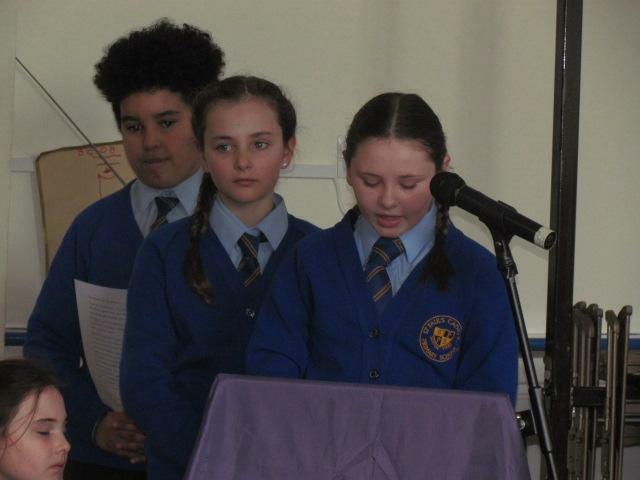 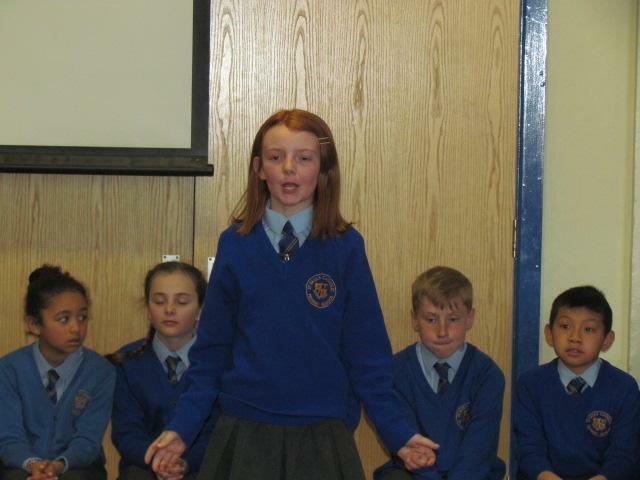 Once again our three class representatives superbly executed the notion that ' War is never right'. 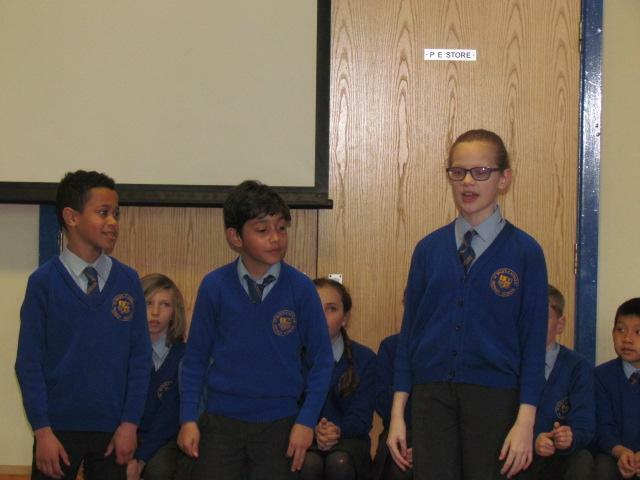 A fantastic acappella performance of Ed Sheeran's 'What do I know?' 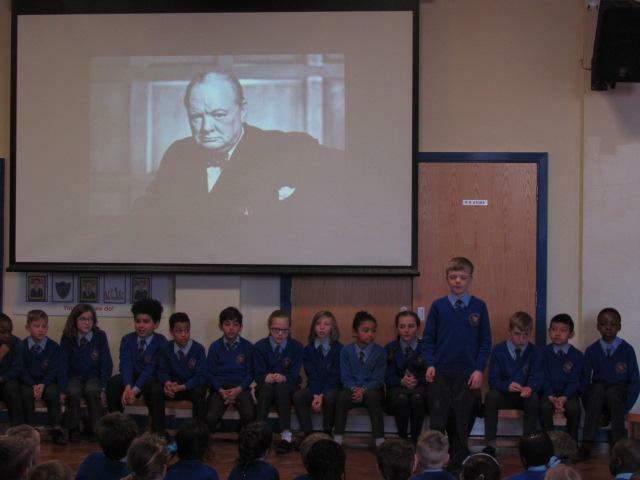 was an excellent ending to a brilliant assembly. 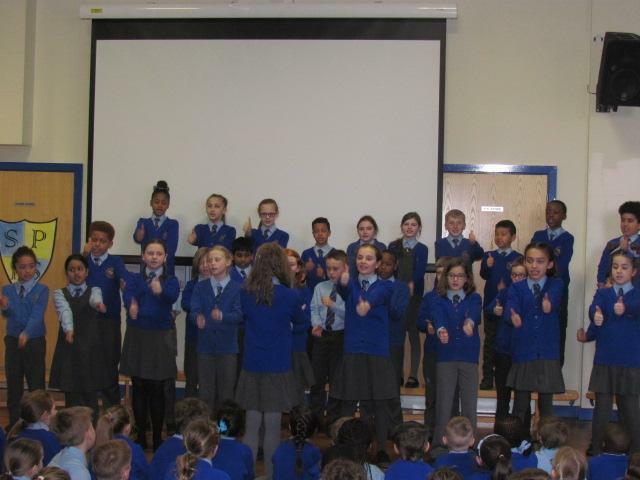 "Well done Year 5". 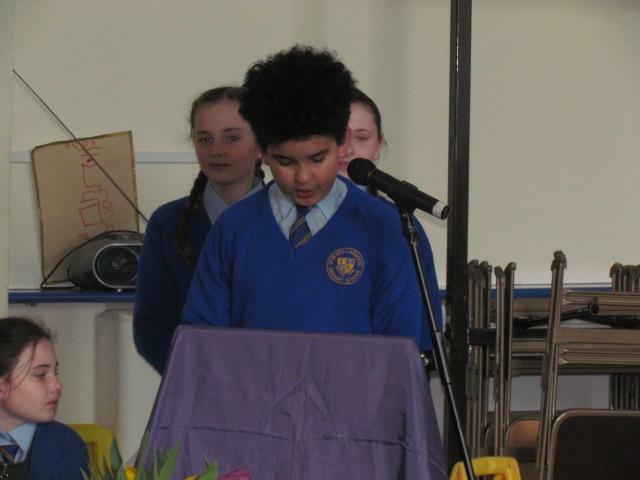 Many thanks to the relatives who came to support.